Log Pool Table For Sale, Handmade in our Factory to your specifications. 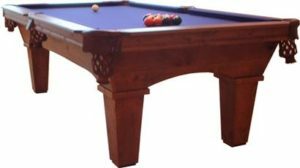 Call 480-983-3315 for more information on our large variety of log pool tables. On Sale now with custom options available. American Table Games specialize in manufacturing pool tables, shuffleboard tables, craps tables, poker tables, blackjack tables, roulette tables and anything else for the game room or casino room. All of our products are guaranteed against manufacturer defects for as long as you own them. Please call if you would like to place an order or if you have any questions!